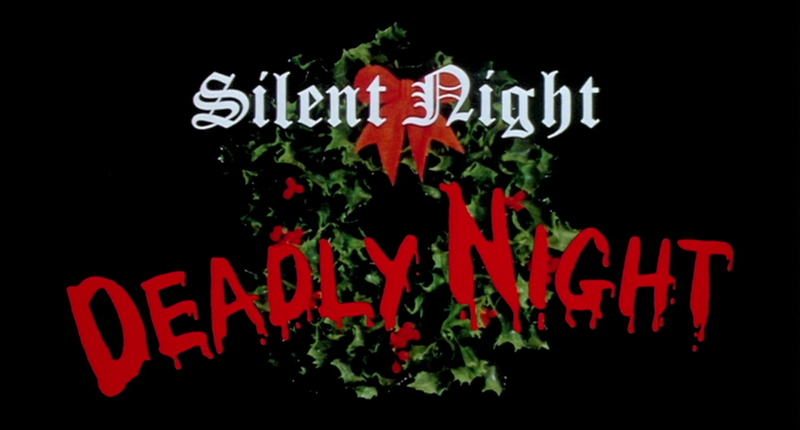 To kick start the holiday feature here on Nick Meece.com, in a new segment we'll call Psycho Xmas, we take a look at 1984's SILENT NIGHT, DEADLY NIGHT. 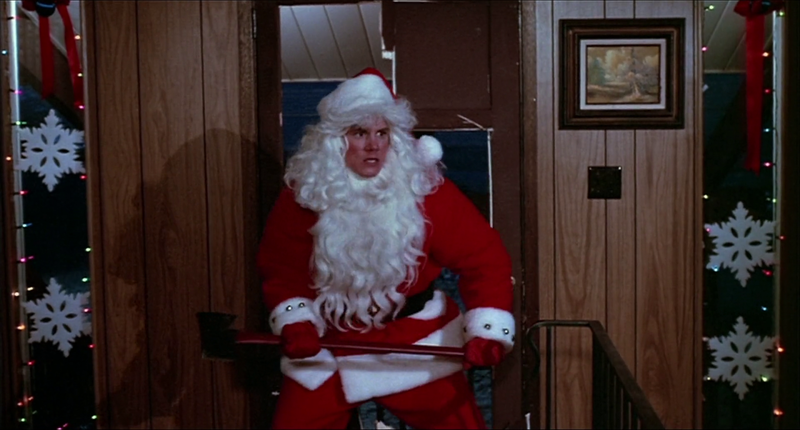 A classic in its own right, SILENT NIGHT, DEADLY NIGHT is firmly cemented in in the lore of Holiday slashers -- hell, it's even a cult favorite among horror fans in general. Not so much in the tradition of 1974's BLACK CHRISTMAS, which really paved the way for the immortal classic HALLOWEEN, but a little more along the lines of FRIDAY THE 13TH. SNDN is about a boy named Billy who witnesses his parents get slaughtered by a maniacal madman dressed in a Santa Claus outfit on Christmas Eve, but not before his invalid grandfather warns him that Santa punishes boys and girls who are naughty. 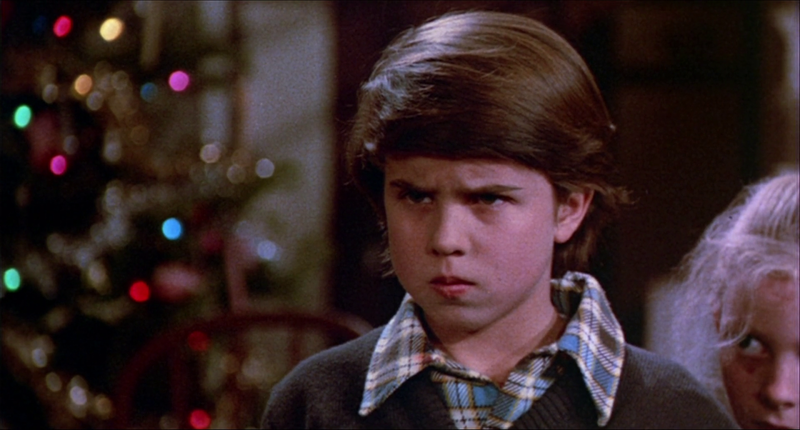 So naturally, even before witnessing his parents' death, young Billy is growing terrified of Santa Claus. Billy's sent to an orphanage where his psychological disorders are clearly not treated properly. "He'll get better," the Mother Superior states throughout. Flash forward to an eighteen-year-old Billy. He gets his first job at a toy store. Long story short, Billy is picked to be the store's Santa come Christmas time. All's good until memories of the past come rushing back. Billy snaps. His mission is to rid the town of everyone who is naughty, sparing the nice. In classic slasher style, Billy eliminates all his co-workers at the toy story and heads out into town. Basically every teenager is a sitting duck as Billy slices his way through the quiet snow-blanketed town as he makes his way to the orphanage. SNDN also implements a soft false ending where we believe that Billy has been killed, shot dead by the police. But, in turn, it was just another man wearing a Santa suit. Clever, clever. Sadly, this is also the demise as Billy. Just before he can finish his mission and kill the Mother Superior who "raised" him, he's shot twice in the back and falls to the ground. Now here's the twist: Billy's younger brother watches his brother die and then looks to the Mother Superior with an evil eye and says, "Naughty!" Cut to black. The end. 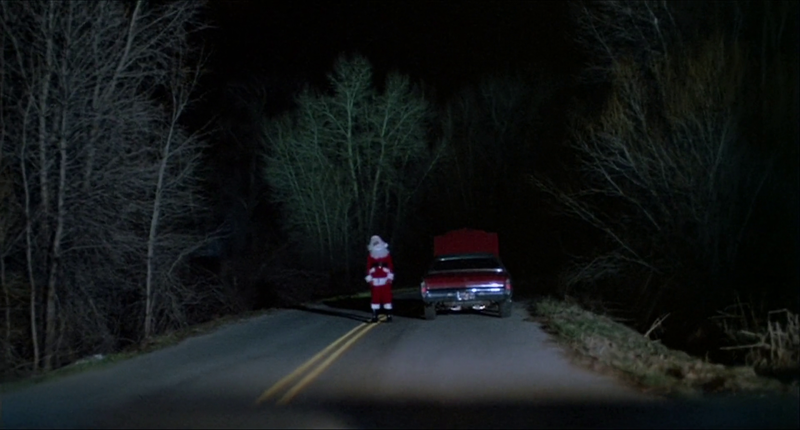 Until SILENT NIGHT, DEADLY NIGHT PART 2 in 1987. SNDN is one of those slasher's that makes no attempt to hide or conceal the identity of the killer. Which, for this movie, works very well. Billy isn't a mystery is anyone. We know what he is, unlike Michael Myers in HALLOWEEN who wore a mask, despite the audience knowing the identity of the killer throughout. All in all, the performances in SNDN actually aren't that bad and the film holds up -- as long as you go into knowing that it's an '80s slasher. 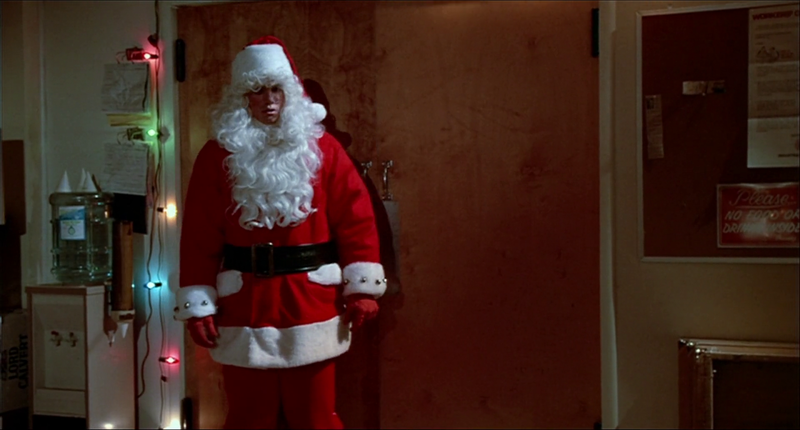 It's an excellent entry in what so far is a vastly un-mined sub-genre of Christmas slashers.